Yesterday I took the train to London to meet my sister and Mum for the 2013 London Renegade Craft Fair. This is totally my shopping highlight of the year, so we set off early knowing that Brick Lane would be busy with people visiting the food and vintage markets too. Not only was I excited about shopping, but I was also looking forward to saying hi to some familiar faces. Vivid Please were there with their quirky cards and accessories. I interviewed them back in April for my Creative Inspirations series. Getting to meet Vicky and David in person was awesome. I’m a total Vivid Please fangirl. They had travelled down from Edinburgh for the market. 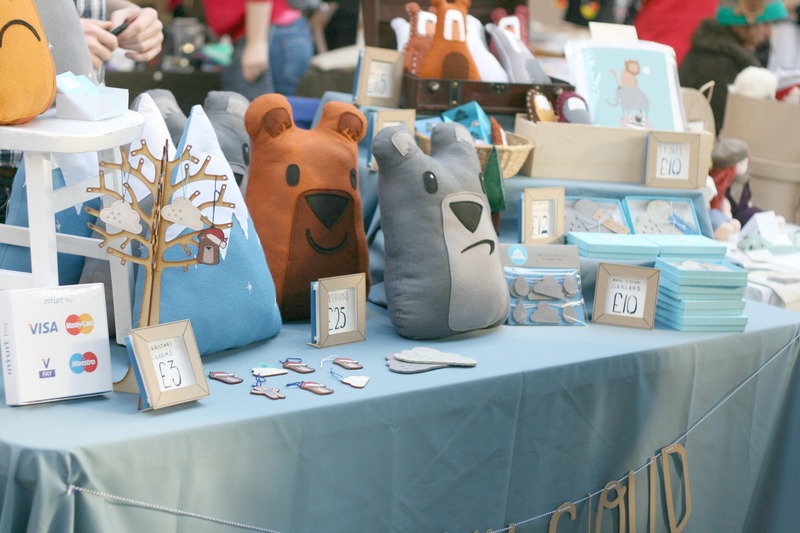 Also representing the Scottish makers was Claire from The Bellwether with her tongue in cheek cross stitch designs. So nice to meet her in person and have a natter about how busy the fair had been. 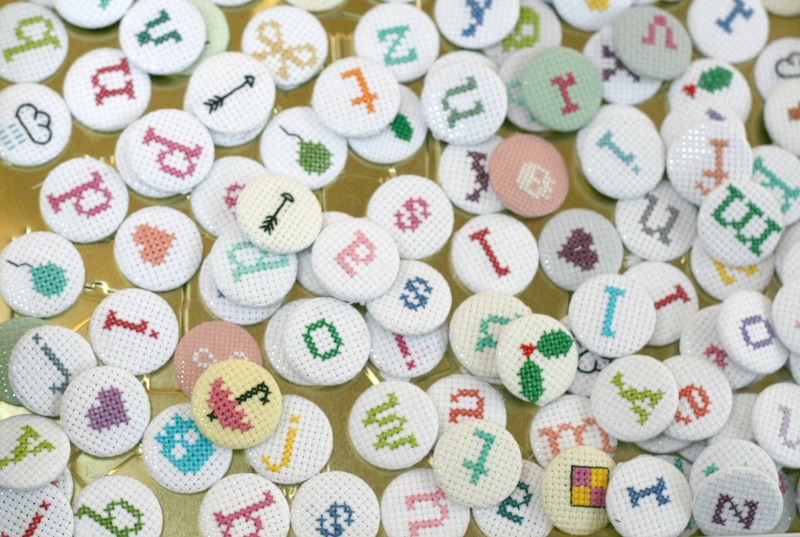 Claire kindly gave me a cross stitch pin which I’ll share in my haul post on Wednesday. Having read their Renegade prep blog posts, I was super looking forward to seeing Rachel and Harriet from Ohnorachio and Hello Harriet. I met these guys back in March for the Cam Blog Meet and we’ve stayed in touch ever since. 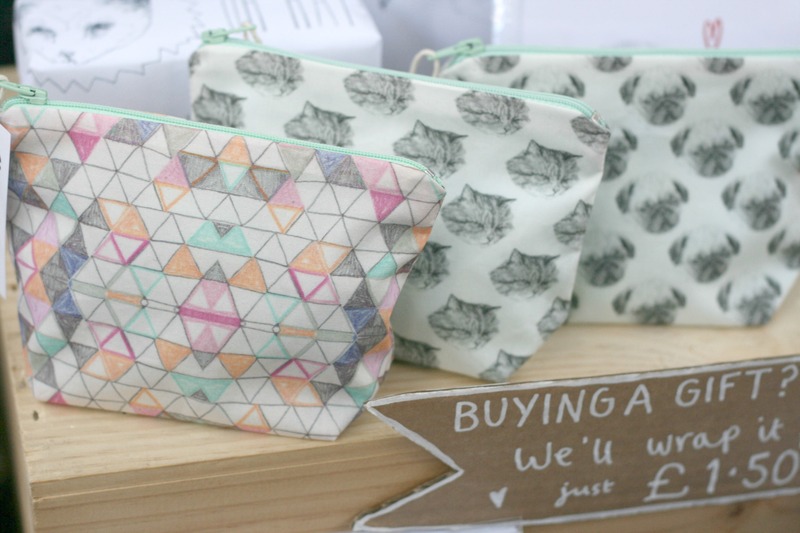 Their Pinterest worthy stall was full of illustrated stationery, ceramics, pouches, wrapping paper, succulent plants and more. 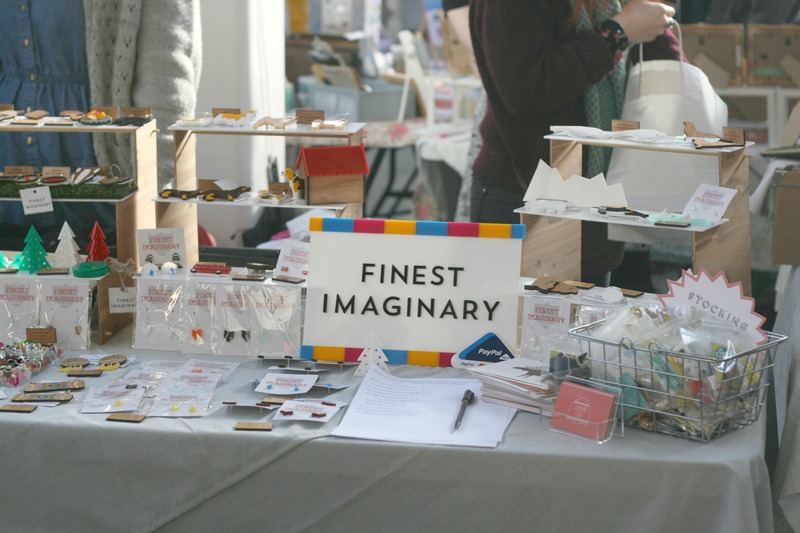 Kim from Finest Imaginary was there with her laser cut jewellery, coasters and stationery range. Even her price signs were made from laser cut wood – a really nice touch. 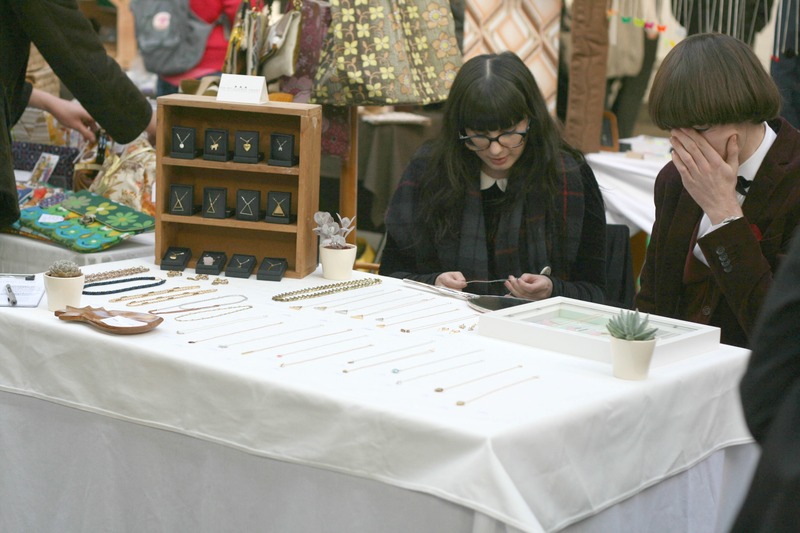 The guys from Oh My Clumsy Heart were there with their range of delicate jewellery. 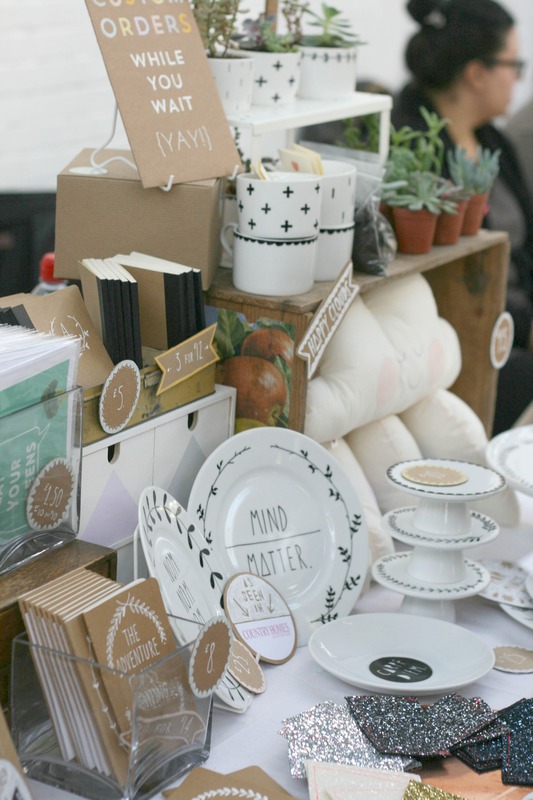 Spot the cute succulents on their stylish, minimalist stall. The Pygmy Cloud booth really caught my eye with their homewear, toys and print ranges. The toys had such cute expressions I couldn’t bear to leave this stall without a purchase. I had a nice chat with Sam from Polka Dot Dreams who has worked with Mollie Makes on some of the kits to make her crochet jewellery and felt fox brooches. Sam’s polka dot cork board display was so sweet. A new find for me was Oh Squirrel stationery. 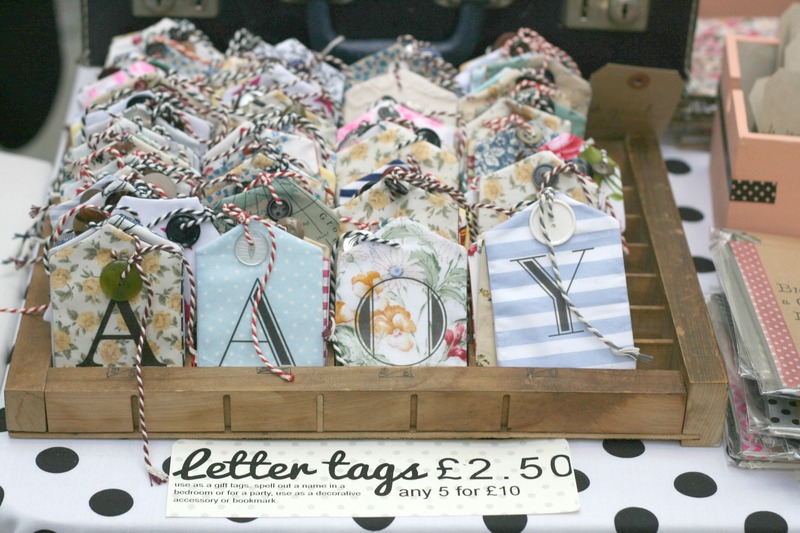 These fabric tags were selling like hot cakes! 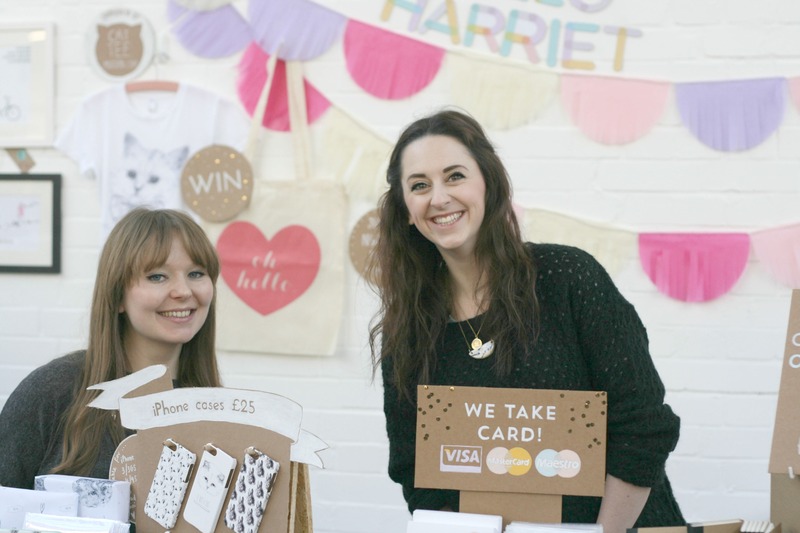 The rest of the range includes vintage inspired cards, hen party accessories and wedding stationery with a cheeky edge. Definitely one to keep an eye on. Collins and Brown were there promoting Mollie Makes books and magazine subscriptions. 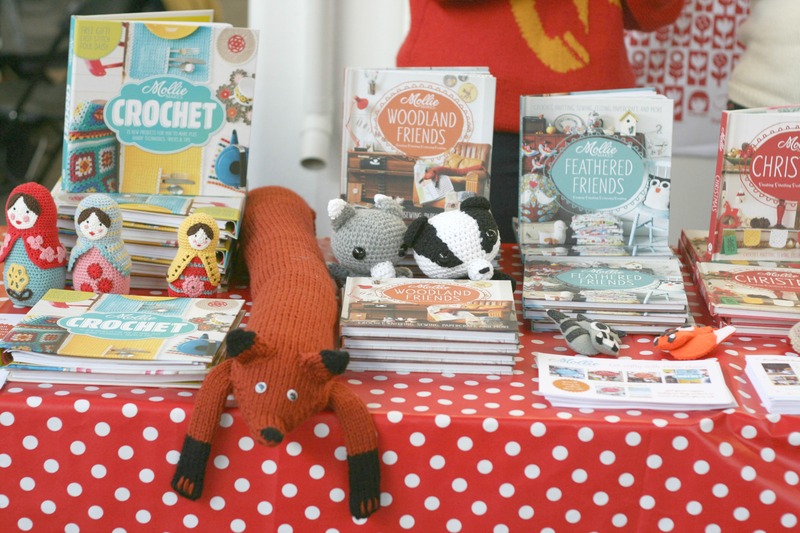 I loved the crocheted animals they had dotted around the stall. 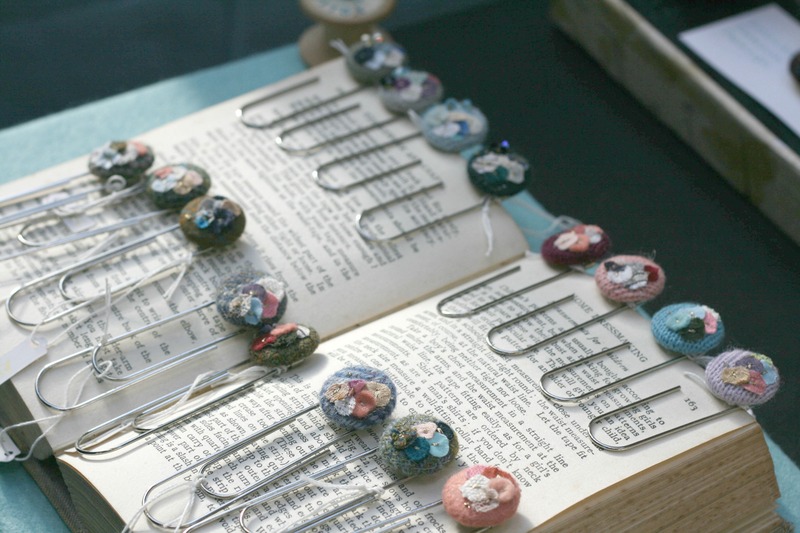 Louise Dawson was selling upcycled textile jewellery including these gorgeous harris tweed and knitted button bookmarks. My sister thought her creations were very “Downton Abbey”. 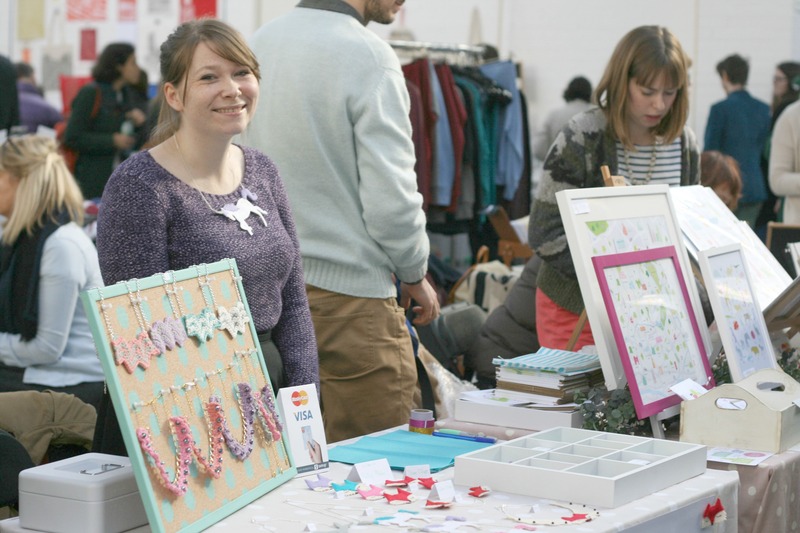 Zoe Jade of Ladybird Likes had a super busy stall featuring laser cut jewellery and quirky accessories. We had a chat about the fair itself and how worthwhile she thought it had been. Turns out very. 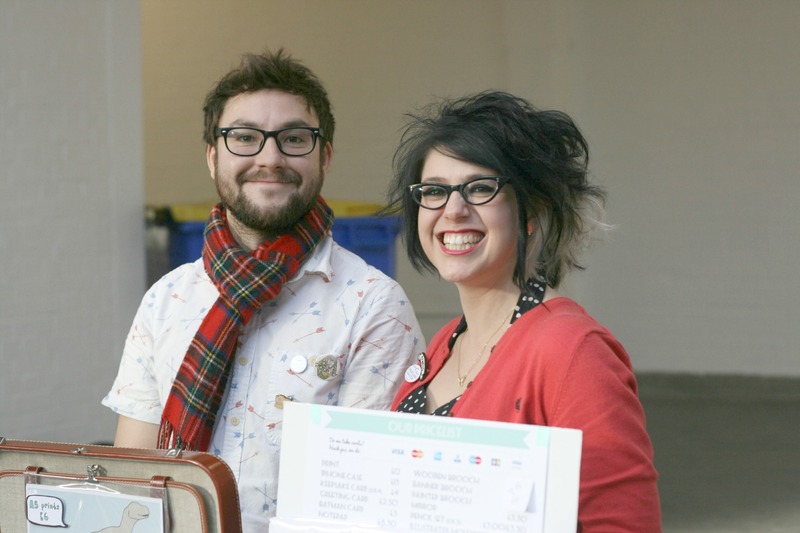 Renegade London has a high footfall and is a competitive fair to be a vendor at. 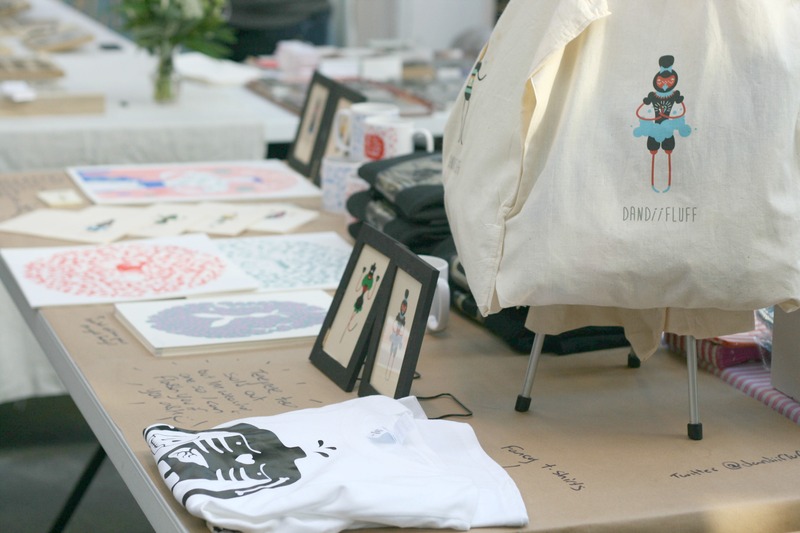 Designosaur had some uber cute designs (look at that googley eyed pineapple pin!). Laser cut acrylic jewellery was definitely popular this year and Bonnie Bling didn’t disappoint. Their designs have been worn by celebs such as Rita Ora and even Boris Johnson. Hilarious. My sister and I spent some time chatting to Ian from Dandii Fluff who was a total sweetie. 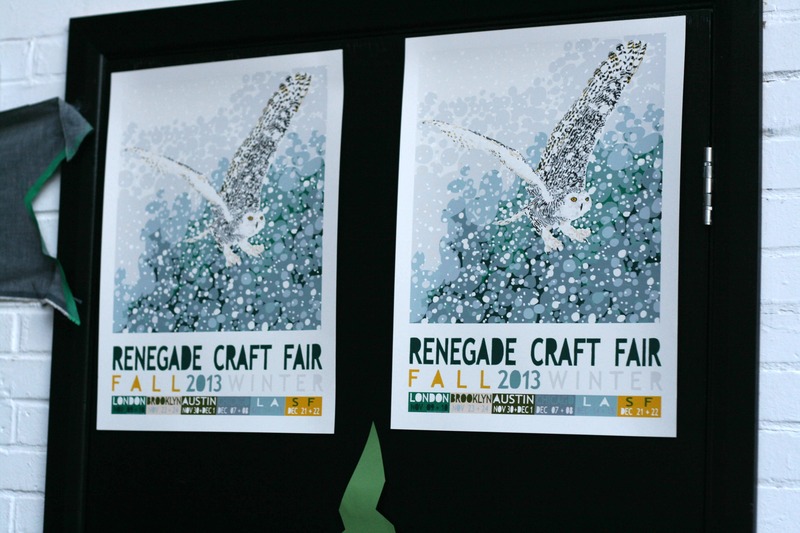 Renegade was Ian’s first fair and his unique hand printed goods were a perfect fit. Ian said he hadn’t realised he needed to bring a table cloth, so he improvised with brown paper and wrote his prices on it – we thought it was intentional and told him it really caught out attention because it wasn’t the usual tablecloth! 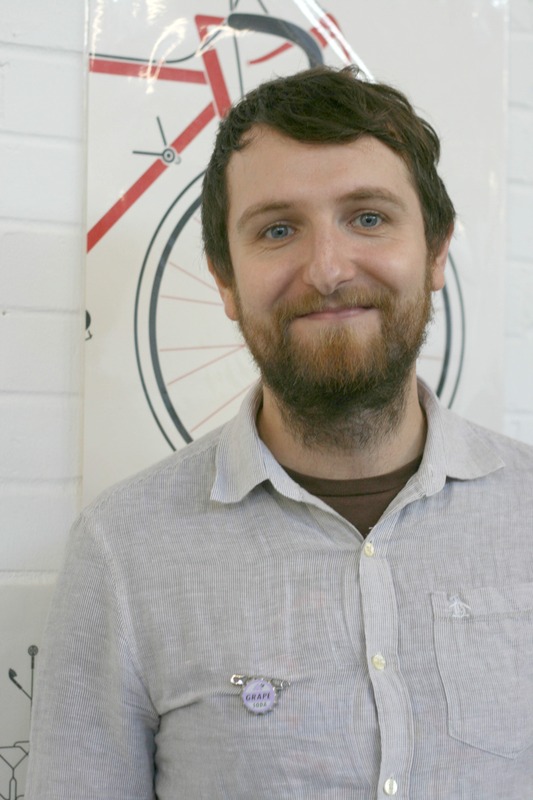 I am sure we will see Ian’s designs cropping up in magazines soon – he is one talented lad. 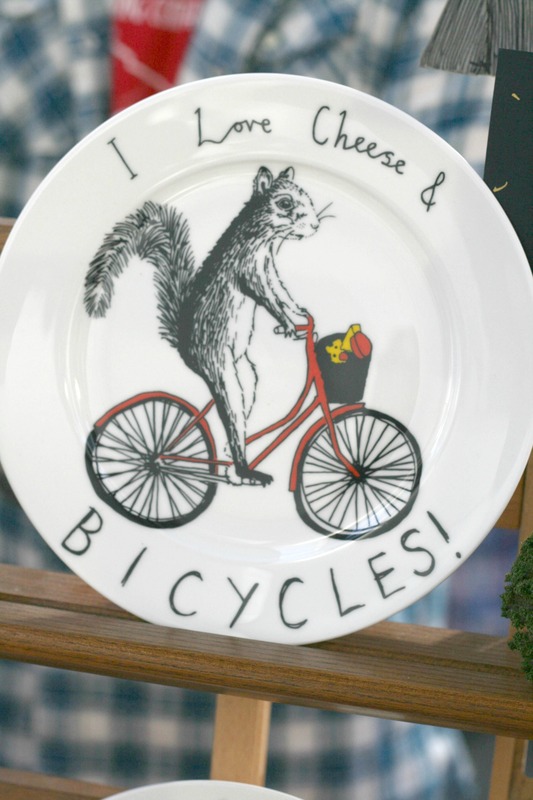 I was wondering if I might actually be the soul mate of this squirrel from Jimbobart….. 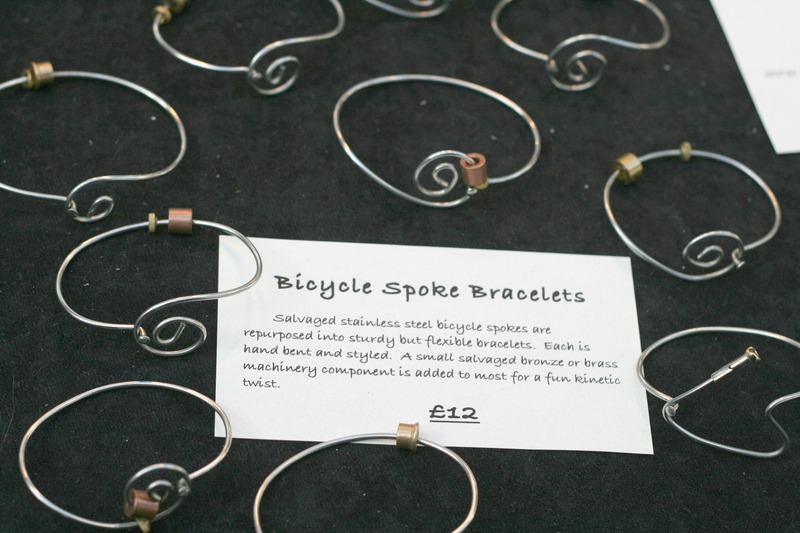 I was pleased to see the bicycle trend well represented and these bicycle spoke bracelets didn’t disappoint. 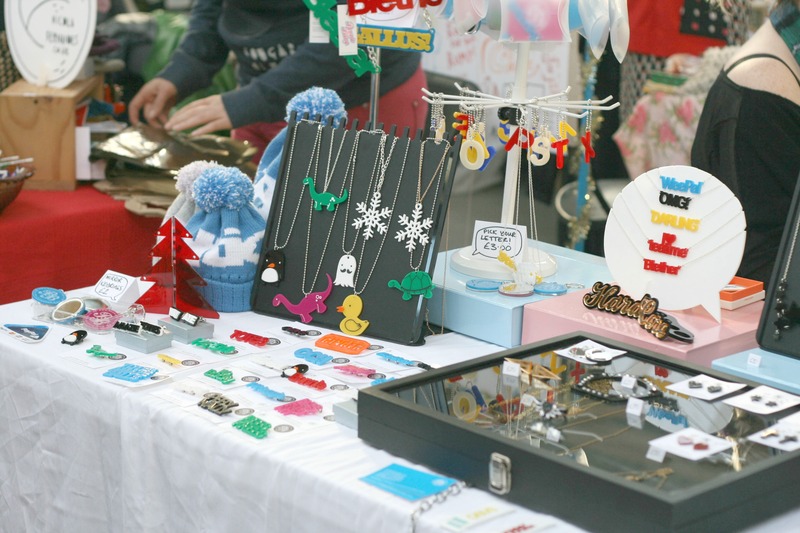 The vendors MakeShift Accessories had travelled from the US and it was their first time in London. This fab guy sold prints and wore a Grape Soda pin badge. He happily posed for a photo and chatted about his creations. 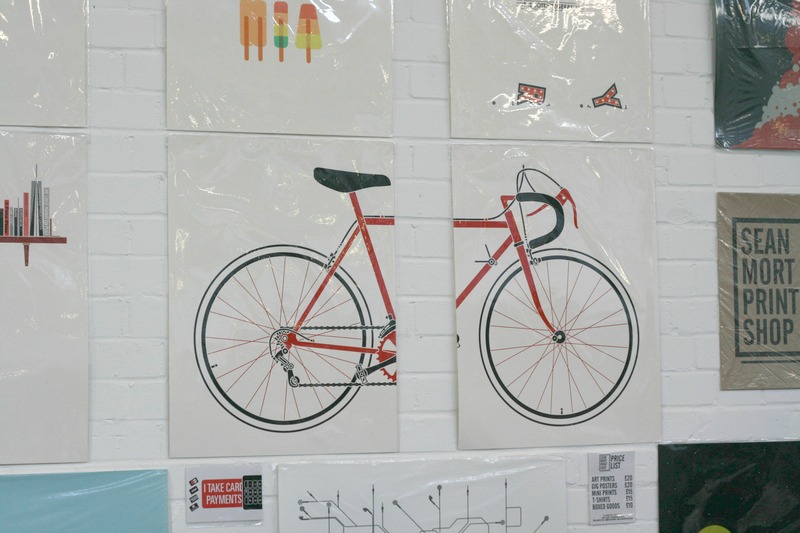 I did have my eye on this bicycle print from his store. 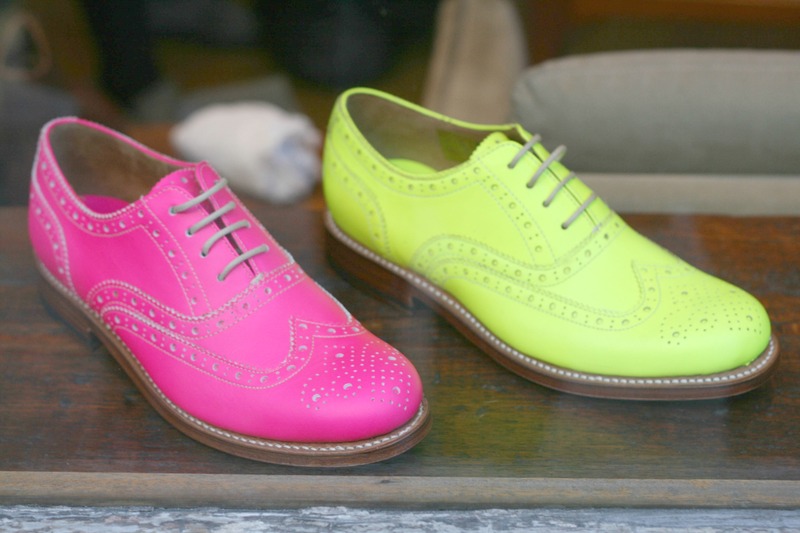 Although these weren’t at Renegade, I spotted these neon brogues in a store in Spitalfields and had to take a photo. WANT!! 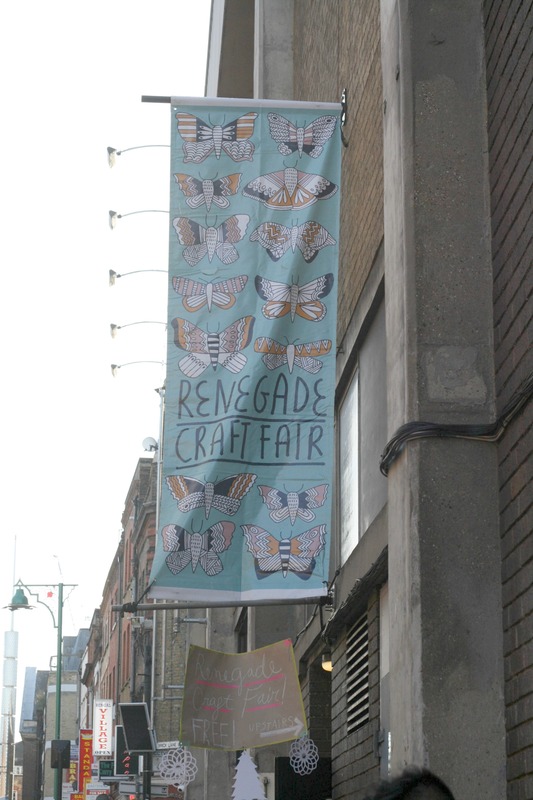 I left Renegade London feeling totally inspired and grateful that we have such a rich and exciting collection of makers in the UK. 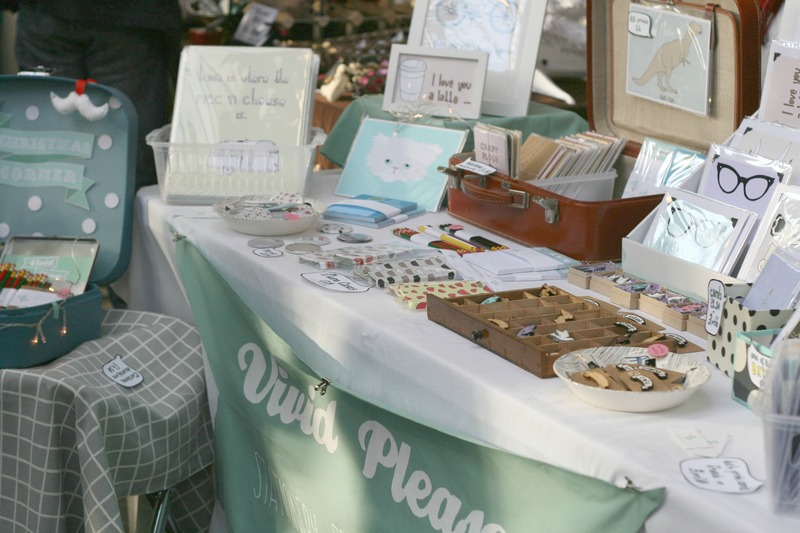 Absolutely everyone we spoke to was thrilled to be a vendor (despite exhaustion!) and gave their all to each and every customer. Brick Lane is the perfect location and the craft fair is free, so we were able to nip out for lunch in a cafe recommended by the door man. Who by the way was awesome and so cheery all day. We nabbed him a lolly from one of the stalls and he was so chuffed he gave us all a hug. 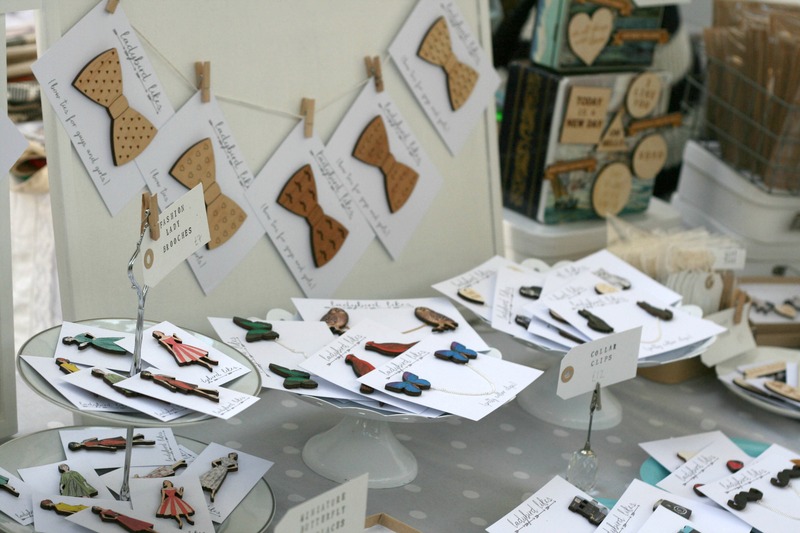 The only criticism I would have, is that there were tons of stalls selling acrylic laser cut jewellery – it would have been nice to see more of a variety, although there were some beautiful silver jewellers too. I guess it depends what you are into. Tatty Devine fans would have been in their element. I got some Christmas presents and a few bits and bobs for myself (mostly brooch pins!) which I will share on Wednesday in a Renegade London haul. Some items I wont be able to share as they are Christmas presents for people who read this blog! The day was pretty tiring as travelling often triggers migraine attacks for me, but I’m glad I pushed through and if I have to feel awful for the rest of the week, it was totally worth it! It was excellent to read this Claire, as I would love to get a real feel of whether it’s worth putting in an application for, next year. Were there many print artists? I loved the unintentional bear pun too 😉 Also an interesting point about there being so much laser cut jewellery. Just being on the virtual craft circuit I notice that laser cut is still a big trend, so it’s interesting to hear that this bears out in person. Glad you enjoyed the post Ruth. I think your work would sell well – there were tons of print artists, screen and hand illustrated and nothing like your work so I would say there is a gap for you! 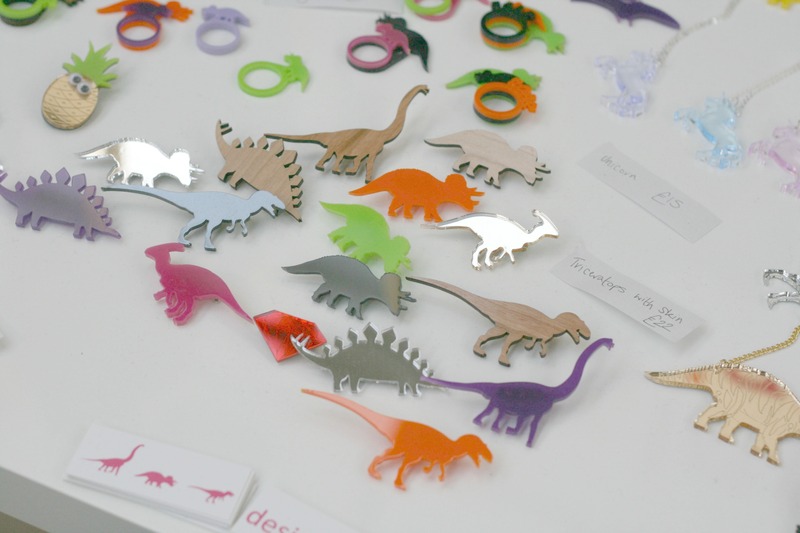 Even though there was a lot of laser cut jewellery, it was all really awesome. Good Morning Claire, I will have to make a note in my diary about the Renegade Craft Fair. 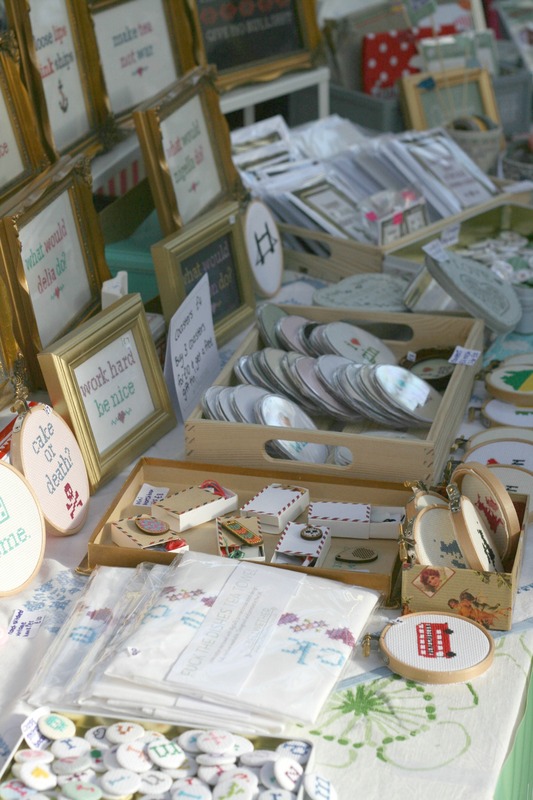 I live in Newcastle, so I would have to travel down, but there is nothing like a good craft fair to find fabulous gifts for friends and family. I loved the gift tags, I thought they were a lovely idea and the paperclips with the buttons were fabulous book markers. You sound as if you had a wonderful, if exhausting day. I hope the migraine stayed away and didn’t spoil your day. Thanks, Claire! I enjoyed your post almost as much as actually visiting Renegade! I had told my family how well-pitched the fair was (ideal for gifty Christmas shopping, affordable, good quality merch) , but hadn’t taken any phone pics. So now I can share your pics with my family. I was sorry to have missed the event last year, so made a point of going this year. Oh I am pleased you can share my photos with your family. Hope you had a super day! I had never heard of this fair. It sounds brilliant and I shall note it in my diary for next year. Claire, did you see the link I left on your Instagram post about a macaroon coin purse? Agree with you on the laser cut jewellery! It was also my first visit, so glad you enjoyed it too! Thank you, I think I’ve just about recovered! What a great sounding fair- it was lovely to read about it- I wished I’d gone now! The vendors look wonderful! I see so many items I’d like to buy for myself and for gifts!